HostelBookers has revealed the winning properties in its “Awards for Excellence” 2011, which is now in its second year. To be eligible for an award, properties needed to receive the highest customer rating for a category. The only exception was the “Most Popular” category, which was based on the total number of bookings made in 2010. 131 properties have been recognized for their outstanding contribution to the budget accommodation industry within 11 categories, including: Top Three properties in each continent, Best Atmosphere, Best Value, Best Location, Cleanliness, Best Newcomer, Most Improved, Best Hostel with Wheelchair Access, Group Recognition, Most Popular and Best Eco-Friendly. ‘Top Three Properties in North America’ include hostels in New York, Havana and Merida. Superbly located on 31st Street at 5th Avenue in the center of Manhattan, Urban Oasis is close to public transportation. It is right in the middle of exquisite New York shopping, and within walking distance to many New York hot spots. 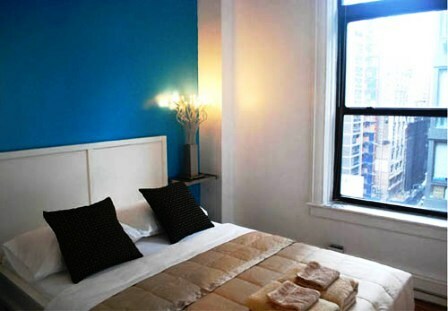 Most of the rooms have huge loft-style windows looking onto the Empire State Building or the historic buildings of 5th Avenue and 31st Street. The city of Havana glows at sunset, and according to previous guests, there is no better place to enjoy the view than from the terrace at Private Rooms Mylena y Otto. This apartment in Havana offers two double bedrooms with king-size beds, air-conditioning, a small kitchen, dining area and living room. Central Havana and Malecon are within easy reach. This apartment is a great alternative to a hotel or hostel for travelers requiring more independence. Anyone backpacking in Mexico should put Mérida, the cultural capital of the Yucatán region on their itinerary. La Casa del Tío Dach is an 18th century building away from the main road. It is just a few steps from the historic center of Mérida, Zócalo with museums, colonial houses, bars and restaurants on your doorstep. With lovely attention to detail, this charming house displays a number of works by Yucatán artists too. Furthermore, out of all the Washington hostels, Loftstel has been awarded ‘Best Value’ while The City Hostel Seattle received the highest customer rating for ‘Cleanliness’. In Canada, Montreal Central and Canadian Backpackers Inn in Toronto walked away with awards for ‘Best Location’. In Europe, winners of the ‘Most Improved’ award – those which had seen the greatest improvement in their customer ratings from 2009 to 2010 – included an Amsterdam hostel The Damrak Inn. To book your Amsterdam flights, just go to the respective link. Meanwhile Plus Berlin won the ‘Best Newcomer’ award. In Australia, Cambridge Lodge in Sydney and Globetrotters International in Cairns have both been recognized as ‘Best Value’ hostels. David Smith, COO at HostelBookers, states: “Once again we are incredibly proud to have launched the Awards for Excellence 2011. It showcases the quality of the budget accommodation industry and gives recognition to the exceptional properties out there. Guest feedback and ratings offer travellers an invaluable insight into our properties and also helped us to establish the winners”.